All hail Queen Elizabeth II, who is still very much alive despite reports to the contrary. The monarch went to the doctor for her annual check-up on Wednesday and emerged from the hospital’s waiting room to the sad news that she had died, courtesy of the BBC. According to NBC, a reporter got way too excited about the queen’s visit to the hospital and prematurely tweeted that she had passed on the crown while she was getting her blood pressure taken (and probably given a booster shot and a lecture about shingles and the proper amount of dietary fiber one needs to ingest every day in order to remain healthy). Speculation had started after Ahmen Khawaja, a reporter working for the BBC’s Urdu-language service, tweeted that the queen was being treated at the hospita[sic]. “Queen Elizabrth [sic] has died,” the reporter said in a second tweet, NBC News reported. That erroneous tweet was quickly deleted, but NBC News posted a screenshot of it. I bet the queen didn’t even care, though—not nearly as much as she would have about a BBC report that one of her inbred corgis had lost too much weight. 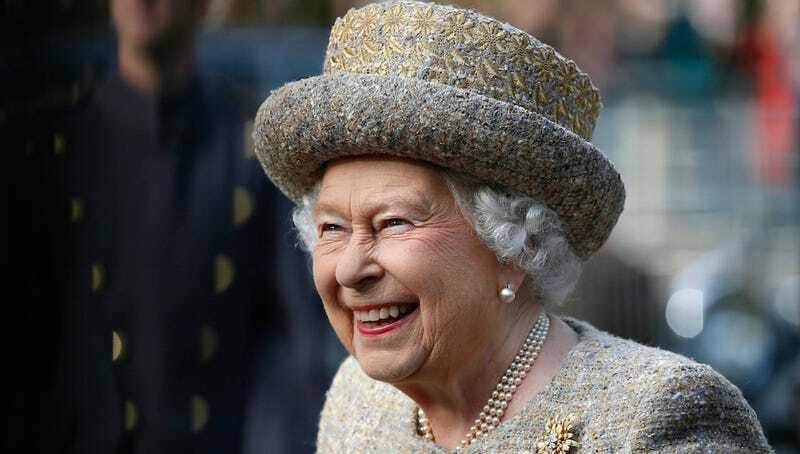 The BBC has stated that the mistake occurred during “a technical rehearsal for an obituary,” which means that The BBC is ready, Queen Elizabrth! All they need is a body!